Claiming that medical marijuana would be a safer, non-addictive and more-effective alternative to OxyContin, Orlando attorney John Morgan condemned the prescription pain killer in a speech Friday to argue that many of its users would be far better off smoking pot. Speaking to the Tiger Bay Club of Central Florida, Morgan said that OxyContin, a commonly prescribed – and abused – pain medication, kills 16,000 people a year and addicts many more. He claimed marijuana – which is illegal in Florida and most states – is comparatively harmless and more effective. OxyContin is a brand-name drug whose active ingredient is oxycodone, an opioid analgesic. The Centers for Disease Control reported in February that there were 16,651 opioid analgesics overdose deaths nationally in 2010. However, a statewide law-enforcement crackdown on illegal sales and use has cut the number of oxycodone-related Florida deaths by 41 percent, to 735 in 2012, according to the Florida Department of Law Enforcement. Still, oxycodone remains the leading cause of overdose deaths in the state. Purdue Pharma, which manufactures OxyContin, did not immediately respond Friday to Morgan’s speech. Morgan’s point was to make marijuana look good by comparison. 1. Is the U.S. currently in violation of the UN treaties it signed agreeing to make marijuana illegal? No. The U.S. federal government is a signatory to the treaty, but the States of Washington and Colorado are not. Countries with federated systems of government like the U.S. and Germany can only make international commitments regarding their national-level policies. Constitutionally, U.S. states are simply not required to make marijuana illegal as it is in federal law. Hence, the U.S. made no such commitment on behalf of the 50 states in signing the UN drug control treaties. 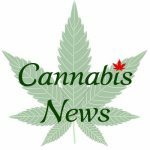 Some UN officials believe that the spirit of the international treaties requires the U.S. federal government to attempt to override state-level marijuana legalization. But in terms of the letter of the treaties, Attorney General Holder’s refusal to challenge Washington and Colorado’s marijuana policies is within bounds. 2. Can the UN punish countries that legalize marijuana? Only to a small degree. The UN International Narcotics Control Board is the keeper of the drug treaties and regularly chastises governments that violate their commitments. This can be embarrassing in international diplomatic circles, but no nation has ever collapsed due to embarrassment. “Some federal drug statutes that mandate inflexible sentences — regardless of the individual conduct at issue in a particular case — do not serve public safety when they’re applied indiscriminately,” Holder told a criminal justice issues forum of the Congressional Black Caucus Foundation. At a Senate Judiciary Committee hearing this week, Sen. Rand Paul, R-Ky., said that in one case, a first-time offender arrested with less than 2 ounces of cocaine was sentenced to 10 years in prison because of mandatory sentencing guidelines. Paul has drafted legislation along with committee chairman Sen. Patrick Leahy, D-Vt., that would give judges wider sentencing discretion as one way to relieve prison overcrowding and bring down the exploding costs of operating prisons. The first medical marijuana stores opened in Washington, D.C., less than two months ago, but the D.C. Council is already considering legalizing the drug. At-large Councilman David Grosso, an independent, introduced legislation Tuesday to legalize marijuana possession and consumption for adults over 21. “Most people understand the role that marijuana has played in our community: Unlike what was touted for years during the ‘War on Drugs’ that it’s a gateway drug, really all marijuana’s been is a gateway to arrest and a lifetime of struggling with the justice system,” he says. If enacted, the law would levy a 10 percent tax on recreational marijuana and 6 percent on medical marijuana. It would also authorize the Alcoholic Beverage Regulation Administration to issue licenses to recreational marijuana stores. Grosso believes it would comply with Justice Department guidance issued Aug. 29, which said state-level marijuana legalization will be tolerated if businesses are tightly regulated. Nobody has approached him to express interest in opening a shop, but about 100 constituents have emailed with supportive messages, he said. Grosso isn’t the only councilman pushing for marijuana reform. Councilman Tommy Wells, a Democratic candidate for mayor, introduced a decriminalization bill July 10 to reduce penalties for possession of up to an ounce of marijuana to a $100 fine versus the current standard of up to six month in jail and a fine of up to $1,000. New data released by the Drug Enforcement Administration reveals the agency has dramatically cut the number of raids on marijuana growers over the past two years, especially in California. But, as SF Weekly noted, a closer look at the data reveals that the DEA has not become less aggressive. Rather, the agency appears to have been more effective by making fewer raids, but arresting more people and seizing more pot. While the number of busts has decreased by about 22 percent, the amount of marijuana confiscated and the number of arrests made during raids have increased by about that much. In 2010, authorities pulled 7.4 million plants from 2,272 sites, resulting in 1,591 arrests and 59,928 pounds of pot, according to the DEA. In 2012, authorities confiscated 2.08 million plants from 1,784 sites. But the grand pull during those raids was a whopping 2,045 arrests and 64,920 pounds of pot. As SF Weekly noted, the shift is likely due in part to the DEA’s disbandment of its nearly 30-year-old Campaign Against Marijuana Planting, or CAMP program. Allen St. Pierre, executive director of marijuana policy reform group NORML, told The Huffington Post that he believes technology may be driving the increase in arrests. A DEA spokesman wasn’t immediately available for comment. St. Pierre, generally an outspoken critic against the DEA, hailed the agency’s shift. Denver City Council Monday night passed a historic bill that sets the rules and regulations for the retail marijuana industry in the state’s largest city. Most other big municipalities around Colorado have taken a time-out from setting their own regulations with many opting out to see how Denver’s system will work. Denver also was the first to take on medical marijuana regulations. Brown said he wants to hold another meeting with Denver’s police chief, the manager of parks and recreation and some municipal judges to talk about how to enforce the laws against public marijuana consumption. Several council members were upset after a free marijuana giveaway Sept. 9 in Denver’s Civic Center park that included public pot smoking, which is against the law. No one was arrested or cited for the violations. “When people are blatantly flaunting our laws and putting it in our face, that is not what we want for the city,” Brown said. Now, he said, it is up to Congress to pass legislation that will allow a normal banking relationship within this industry. He cited a bill being sponsored by U.S. Rep. Ed Perlmutter, D-Golden. After two years of study and discussion, the federal government has finalized new rules for medical marijuana and granted a reprieve to pharmacists who opposed the rules in their draft form. Is it possible that most US states will legalize marijuana for recreational use? Already, Washington State and Colorado are working out detailed regulations for such use after voters last year approved the possession and consumption of personal amounts of pot. And 20 states, plus the District of Columbia, have allowed marijuana for medicinal purposes. It’s been 17 years since California voters shocked the world by allowing doctors to write prescriptions for pot and almost exactly 31 years since Ronald Reagan assured the nation that “we’re going to win the war” on marijuana and other illicit drugs. Yes, people are still being arrested for selling, even consuming, outlawed street drugs, and many members of society are still troubled by, among other things, new psychoactive compounds like the club drug “Molly,” which has been blamed for several recent deaths. And specifically regarding marijuana, the federal government still categorizes it as more harmful than cocaine. Nevertheless, some policy experts predict that 1 out of 5 states will have legal recreational marijuana for American adults by 2016, and even some legalization critics like columnist David Frum have conceded that before long, half of US states will probably sanction recreational use. To be sure, some suggest those time frames may be a bit heady, especially given the relatively slow pace of medical-marijuana expansion. But such predictions are also hard to discount, given rapidly shifting attitudes, often across political lines, about pot. In front of the U.S. Capitol Thursday, two congressmen discussed H.R. 2240, the Small Business Tax Equity Act, a little known bill introduced in June by Oregon Democrat Earl Blumenauer to allow deductions and credits relating to expenditures for marijuana sales conducted in compliance with state law. The bill, according to GovTrack.Us, has a 0% chance of being enacted and has a tiny chance of even getting out of the House Ways and Means committee. The main reason it has reached national attention is Grover Norquist, the President of Americans for Tax Reform, who has corralled 219 Representatives and 39 Senators to pledge to oppose any and all tax increases. He has taken up the no-tax-penalty-for-pot cause. Norquist—who has “No, absolutely not” ever smoked the stuff—believes that federal encroachment on the nascent field of state regulation of marijuana is a deeply serious topic, irrespective of the drug’s effects. The fact that taxing marijuana has become an issue of debate is a sign of the success of cannabis advocates. In August, the Administration said it would not challenge laws legalizing marijuana in Colorado and Washington, so long as the they implement “strong and effective regulatory and enforcement systems to control the cultivation, distribution, sale, and possession of marijuana,” according to a Justice Dept. memo. Marijuana is still, however, illegal under U.S. federal law.